Not every teacher can teach chemistry. And not every chemistry teacher has the chemistry to teach. I had a chemistry teacher with both qualities. He made me, a person much more comfortable with nouns and verbs and adjectives, a confirmed non-thinking-especially-in-a-scientific-manner kind of student, actually enjoy and look forward to chemistry class. I understood what was going on! I worked for him and the chemistry team as a lab assistant for two years, following in the footsteps of my much brighter and more scientifically inclined sister Jana. My sister Susan followed me into the same position in the lab. His name is Ron Crampton. I have the most wonderful memories of my years in school in District 66 and love it when I come across my teachers on Facebook to let them know the impact they had on my life. Whether in the English department, the German department, math or science, they gave me the desire to always learn; to ask questions; to tell the stories that come from life. I wish every student, past, present and future, could have teachers like I have had. Working for and learning from Ron was a joy. Those two years in the chem lab as an assistant I worked alongside my best friend, Sharon Uhrich, now Heimes. We ran the water distiller, filling hundreds and hundreds of five-gallon bottles. We mixed solutions. We set up trays for experiments. We typed stencils and then ran off reams and reams of worksheets and exams. We washed billions and billions of beakers and flasks and eye dropper bottles of reagents. We organized and alphabetized chemicals. Mr. Crampton indulged our every whim in that lab for those two years. As we finished advanced biochemistry in our senior year, he kept us on to monitor test-taking in his other chemistry classes. He trusted us and he laughed with us at our phantom antics. 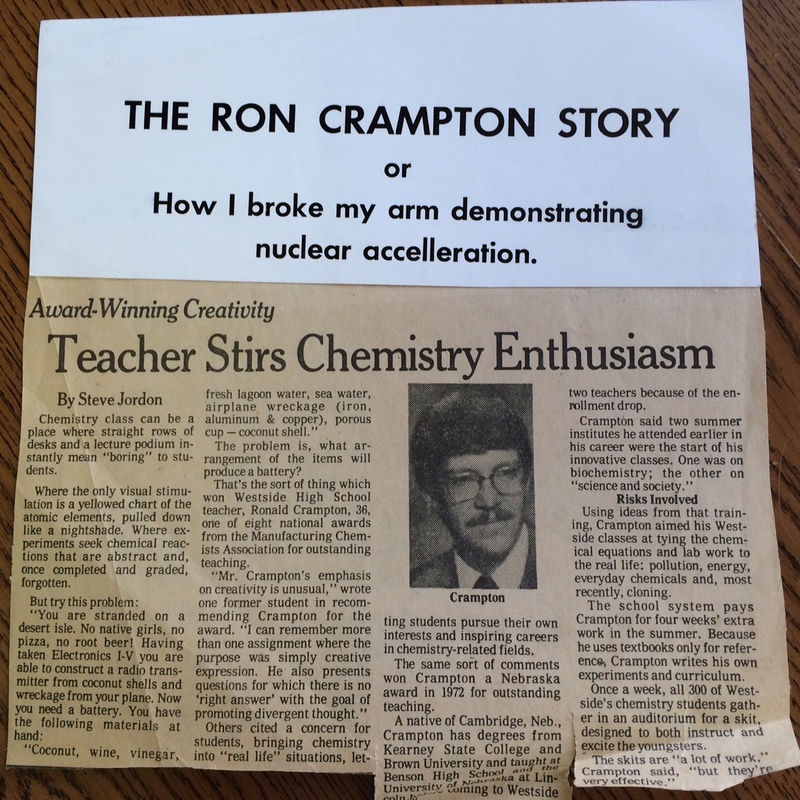 Mr. Crampton was a chemistry teacher who would do anything to get you to understand a concept. Along with Dr. Flub (Louie Niemann) he would make chemistry large group in the auditorium into a production. As Dr. Flub explained the way a nuclear accelerator worked by speeding up atoms so they could crash into each other, knocking nuclei together to release their protons to form new elements, Mr. Crampton, dressed in white lab coat with a toilet plunger in his hands like a knight’s lance, ran at full speed down the aisle and flipped into the orchestra pit, breaking his arm. It was legendary! Chemistry at its finest! We graduated in 1977, and I still have a clip from the Omaha World-Herald extolling the teaching virtues of this educational virtuoso. Sharon and I added our own headline to the story for our classmates. This was Ron Crampton. 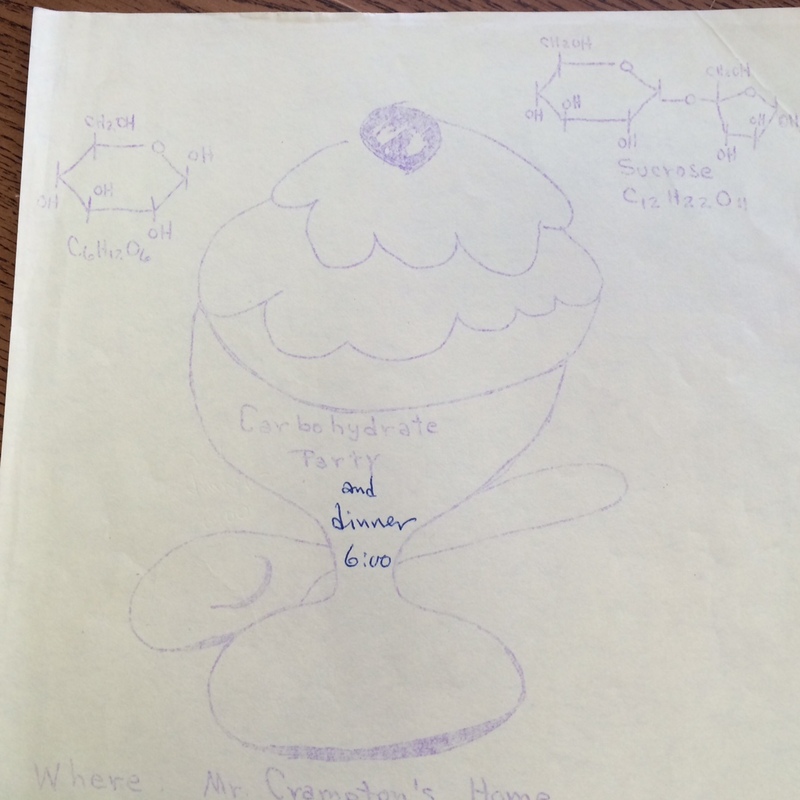 Every semester after the advanced biochem class ended, he would invite those who had taken the class over to his home for a “carbohydrate” party. Dinner was served picnic style by Ron and his wife Meri, and was followed by his own homemade ice cream. Ice cream turned in a hand-cranked freezer was just another way to show us the practical ways chemistry was a part of our lives. Adding salt to water creates an endothermic reaction – one that requires energy for the salt to dissolve in the water. This natural lowering of the temperature in the system, along with the rotation of the freezer, makes ice crystals form in the milk-egg-sugar solution inside the canister, moving it from a liquid form to the tasty frozen treat served in bowls with toppings. He went on to win multiple awards for his teaching at the local, state and even national levels. He knocked on my door last night. 38 years after graduating from Westside High School we are still friends. He even came to my wedding in 2002! He tends the gardens at the church two doors north of my house and they are blooming in glory right now in this April spring. Retired from teaching since 2001, he is a master gardener. And that is why Ron was on my doorstep last night. He had come to share his joy at having had such amazing students in his classroom all those years ago. We hugged and laughed. I showed him Jana’s new digs coming to completion in the addition to our house. Just friends. Not teacher and student anymore, just friends. He has a teaching chemistry. Combine knowledge of a subject and a creative way of imparting it and it creates exothermic, energy-producing, reactions. His classroom antics and inspiration are seen in the lives of his students decades later. Peace and hunger activists. Environmental activists. World travelers. Authors. Makers and eaters of homemade ice cream. He signed my senior yearbook under his faculty picture that year. It’s at the top of this post. “I wish you the best in everything in the future,” he wrote 38 years ago. A wish that has come true, and not because of magic thinking. A wish come true because of teaching chemistry. Every night before I go to sleep, I say my prayers. It’s been my habit as long as I can remember, even back to the age of four! Mostly I pray for peace. Oh Lord let it come soon all over your world! But my prayers always end in a series of “thank yous” to the giver of life and all that comes with it. Sometimes my list of things to be grateful for is so long that I fall asleep before I get to amen. Today I am feeling gratitude for every English teacher I ever had. In my school system which is Westside Community Schools, aka, District 66 here in Omaha, I had some of the finest English teachers who ever practiced the craft. There were Sarol Wiltse in seventh grade, Sid Dunn in the eighth (and we’re friends on Facebook! ), Ed Mansur, Don Kolterman, Bob Dornacker and Richard Bock through the final four years. All of them stressed spelling, grammar, punctuation and the nuts and bolts of the language. But they also taught us to write: to compose, to narrate a story, to explain a concept, to argue a point, to express ourselves. I will always be grateful for what they imparted to me, which is a love of the language put down for others to enjoy. 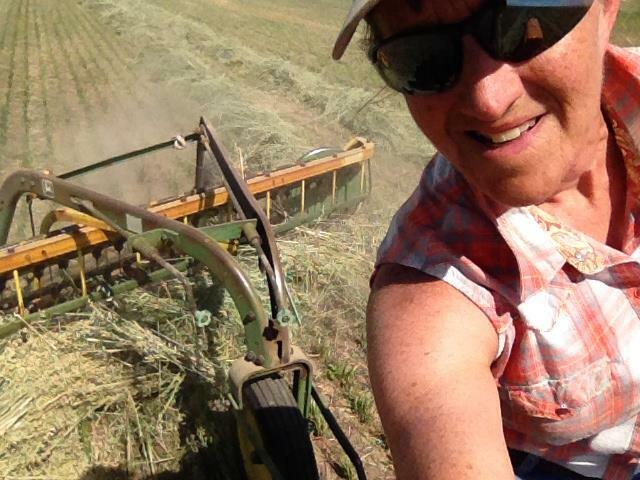 That’s Sally working the field on her tractor. That same sister whose name is Sally is now a published author. (I encourage you to buy her book, “Windows in the Loft.” I may be slightly prejudiced but she is very good. And her grammar and spelling are above reproach.) I am so proud of her! And I’m grateful for the person she is today. 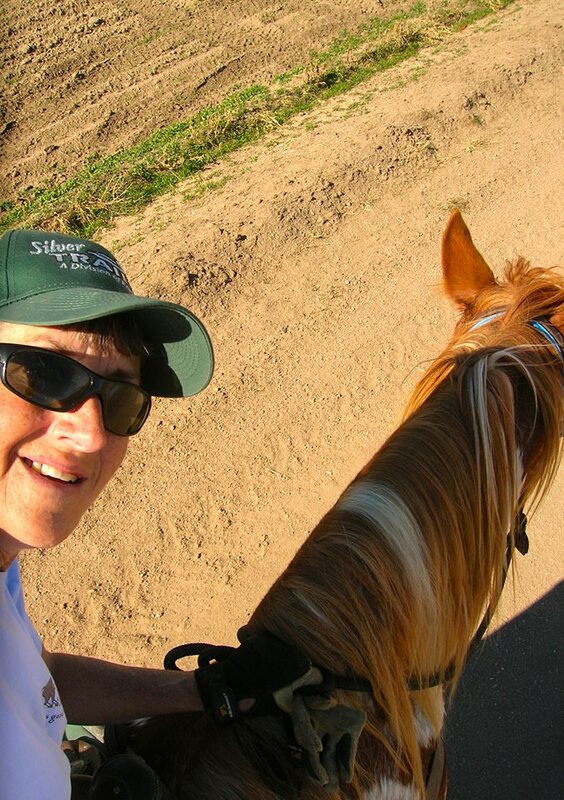 She has overcome so much and she is living a life that suits her to a T. She also has a wonderful blog where she chronicles her adventures living on a farm in eastern Colorado. You can follow her at sygoerner.wordpress.com. Read it. It’s authentic Sally. That’s Sally on her horse. And so I have started this blog. I have found the short items I post on Facebook to be good practice, but over the last months I have experienced the strong desire to stretch myself and really work on writing at more length. Compiling stories of people I have known from years ago and people who have been part of my journey in recent days, is my way of loving the world one person at a time. I think they are stories worth sharing because the people are worth knowing. People like Ms. Wiltse, Mr. Dunn, Mr. Mansur, Mr. Kolterman, Mr. Dornacker and Mr. Bock…and Sally. For each of them, I am grateful.